We would like to acknowledge all the people behind the hard work and dedication that brings the annual World Elephant Day to the world! An extraordinary group of talented individuals makes up the official World Elephant Day team. Together they work collectively to further unite people everywhere in a common love for the elephants. The crew works long hours, putting shoulder to the wheel to present the World Elephant Day campaign to the world. This annual day of celebration of our elephant friends comes to life largely as a result of their efforts. 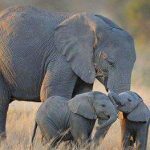 Each and every year, they make World Elephant Day the booming success that it has been since its inception in 2012. 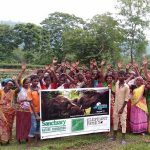 A Huge Elephant Thank You to the Official 2018 World Elephant Day Team! And Big Shout Out to all our wonderful ASSOCIATES who are tirelessly dedicated to making the world a better, safer place for elephants! 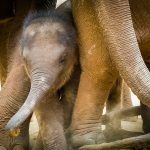 Finally, Thank You to all of our World Elephant Day donors for supporting our vision of a better world for elephants everywhere! *World Elephant Society is the umbrella 501 (c) 3 that oversees the annual World Elephant Day campaign.